Vertigo: Why Does It Happen? Home/Vertigo / Dizziness / Menieres/Vertigo: Why Does It Happen? A person who is having the sensation of dizziness may not be sure if it is actually vertigo or simply disequilibrium. Vertigo is the feeling that the person himself is spinning or that the things around him are spinning when neither is actually moving. Disequilibrium is the feeling of being off balance. The person feels as if he is going to fall or he may feel as if the floor is tilting. Meniere’s disease: This has to do with too much fluid in the inner ear. It can also cause tinnitus, hearing loss, and a feeling of fullness in the affected ear. Acoustic neuroma: This is a rare, noncancerous tumor that grows on the vestibular nerve that leads from your inner ear to your brain. Tinnitus and hearing loss may accompany this disorder. Acute vestibular neuritis: If a person’s inner ear is inflamed this can occur. It usually causes the person to vomit often, have nausea, vertigo, balance problems, and sudden hearing loss. Vestibular migraine: This migraine has dizziness as its main problem instead of head pain. It comes with light and sound sensitivity, nausea, and vomiting. It can last a few minutes to a couple of days. One underlying cause of vertigo can be due to previous accidents or injuries to the head or neck. A misalignment to the upper neck area may have happened. These types of misalignments can cause a disruption in the way the brain functions and communicates with the rest of the body, including the ears and the vestibular system. Upper Cervical Doctors are specifically trained to detect these misalignments through special x-rays and examinations that will indicate whether or not a person’s vertigo is due to a problem in the upper neck. Many of our patients have reported a decrease in symptoms after seeking our care. 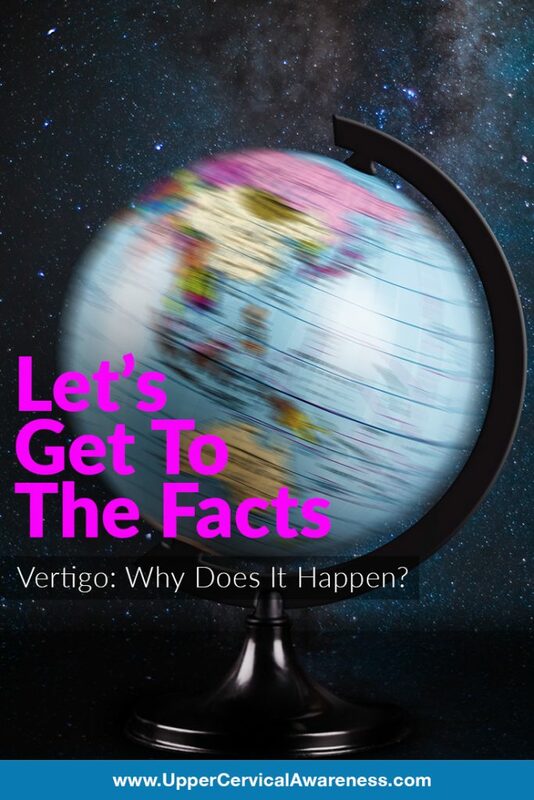 UCM Social Media Team2019-02-22T14:11:38+00:00November 20th, 2016|Vertigo / Dizziness / Menieres|Comments Off on Vertigo: Why Does It Happen?